Leaked fuel that contacted a hot surface in the engine room was determined to be the immediate cause of a fire that burned for three days aboard the auto and passenger vessel Caribbean Fantasy in August 2016. 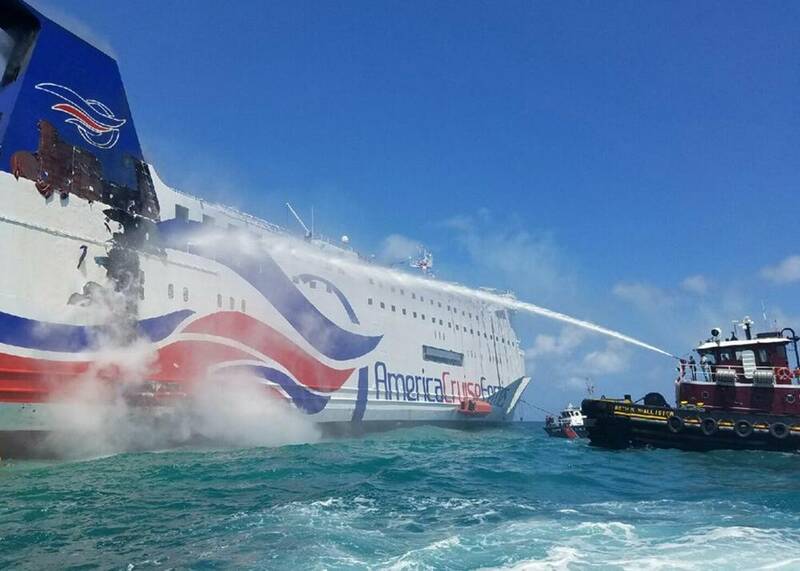 According to the National Transportation Safety Board (NTSB), who reported their findings Tuesday, the fire started in the main engine room of the 614-foot long, Panamanian-flagged vessel, when fuel spraying from a leaking flange contacted the hot surface of the port main engine. NTSB investigators found that quick-closing valves for fuel and lube oil that were intentionally blocked open contributed to the fire’s rapid spread. 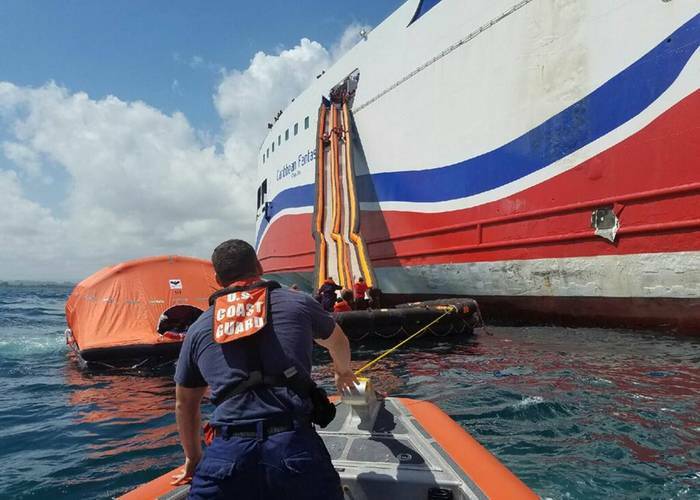 Firefighting systems and a structural fire boundary were also discovered to have failed aboard the vessel used for ferry service between Santo Domingo, Dominican Republic, and San Juan and Mayaguez, Puerto Rico. When the fire could not be contained, the master ordered abandon ship. More than 45 of the 511 passengers and crew aboard were treated for non-life-threatening injuries including knee, ankle and leg injuries, fainting, breathing difficulties and other issues. Only six injuries – ankle injuries incurred while sliding down the marine evacuation system – were considered serious. The fire burned for three days while the Caribbean Fantasy drifted and subsequently grounded near the port of San Juan. The blaze was eventually extinguished by shore-based firefighters after the vessel was towed into the harbor. The accident resulted in an estimated $20 million in damage, and the Caribbean Fantasy was eventually scrapped in lieu of repairs. 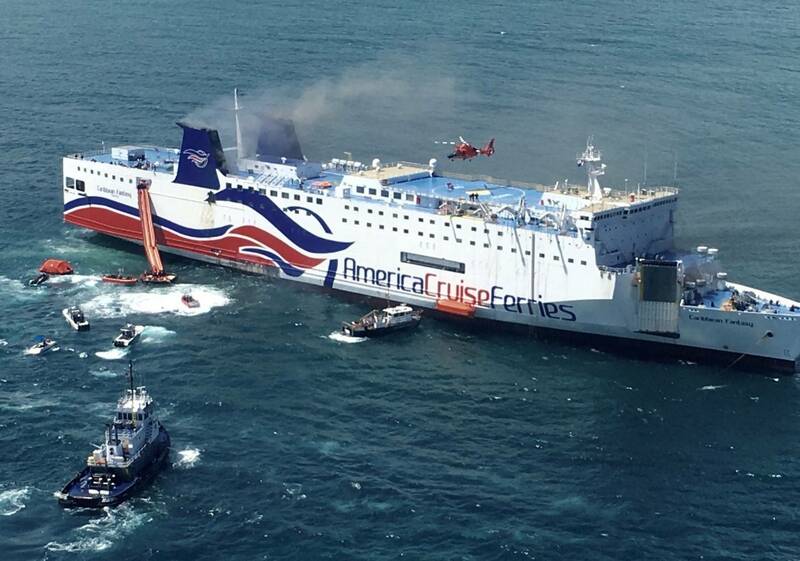 In addition to the mechanical issues, NTSB found that Baja Ferries’ poor safety culture and ineffective implementation of its safety management system on board the Caribbean Fantasy contributed to the fire and a subsequent prolonged abandonment effort was. 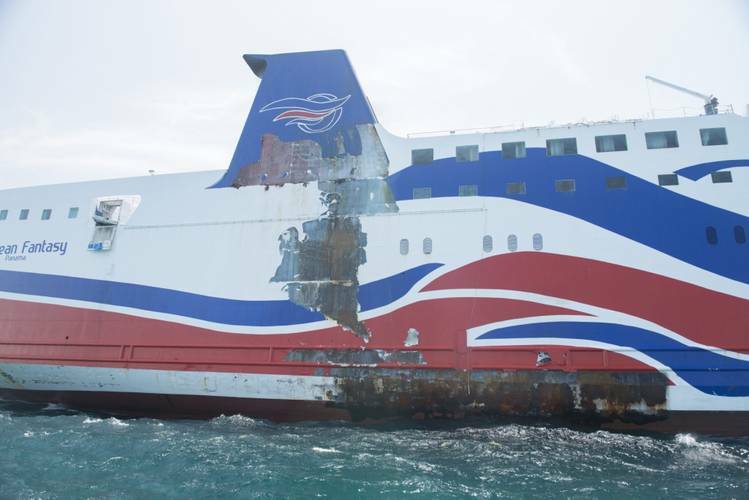 Adding to the severity of the fire was the failure of the Panama Maritime Authority and the recognized organization, RINA Services, to ensure the safety management system was functional, NTSB said. 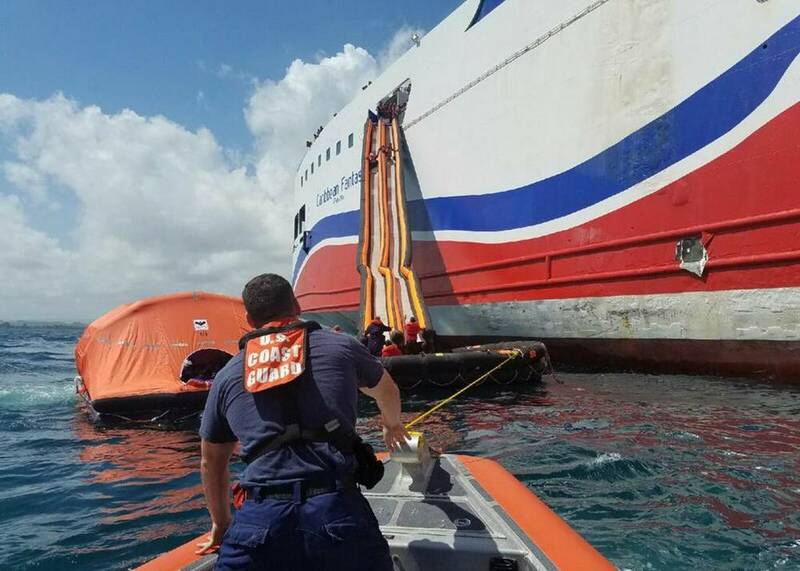 As a result of the investigation the NTSB issued safety recommendations to the to the U.S. Coast Guard, Baja Ferries S.A. de C.V., RINA Services S.p.A, the International Association of Classification Societies and the Panama Maritime Authority. The recommendations address machinery maintenance practices, fuel and lube oil quick-closing valves, fire protection, crew training on and familiarity with emergency systems and procedures, implementation of the company’s safety management system and oversight by Panama. 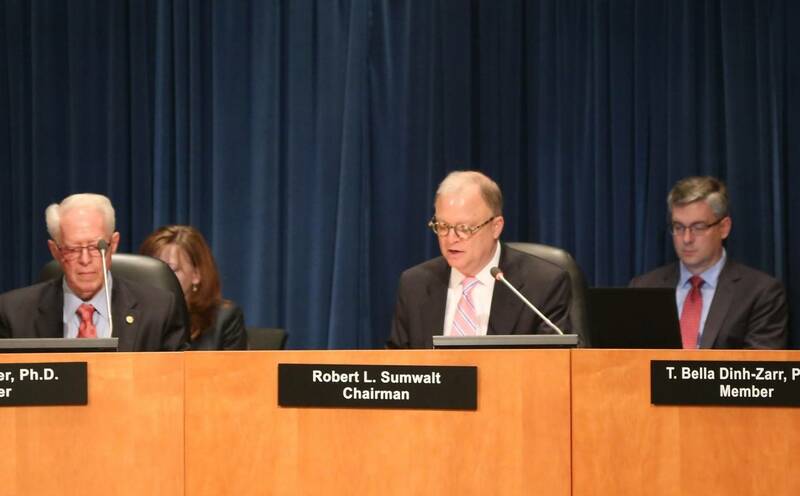 NTSB said it will issue its full report in a few weeks’ time.